Pizza and Grill - Perfect for Adding Burgers! Priced for Fast Sale! STEAL THIS TURN-KEY RESTAURANT & PIZZA PLACE! This is a turn-key restaurant with a hood system for cooking as well as a hood system for pizza. Add pasta to the menu and you're business will take-off. Create a value menu and watch the customers come in for lunch You can't find a turn-key business at this price!!! So move quickly! 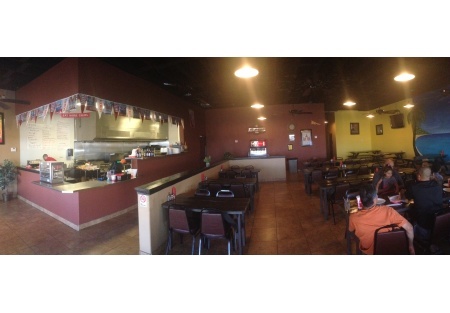 This restaurant is on an end-cap unit in located in fast growing Queen Cree. Take a look at the demographics, they're strong! There are 2700 Sq. Ft. with low low rent and all the equipment is in great working order and at this low price it won’t least. The owners are motivated to sell this fast and it is price. So if you know the pizza business, then this restaurant is right for you and at a great price! Revenues are about $10.000.00 a month and growing. The pizza and sandwiches are great and the sales improvement shows it. It is too bad that the owner has to move back home health issues of parents force the sale of this store. Owner is willing to train and give you the recipes if you like.